One of my favourite aspects about the holidays is spending quality time with family and friends. My best friend and experienced baker, Sarah suggested we organize a cookie bake to make some sweet treats for our friends and families to enjoy over the holidays. 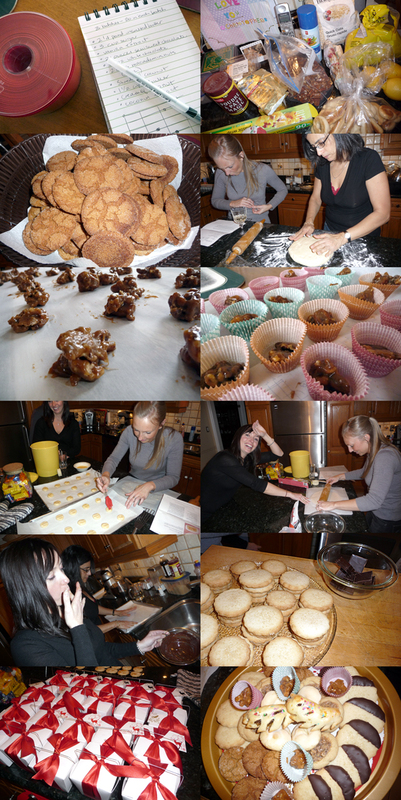 On Saturday, my mom, Sarah, Heather and I spent from 10:30 AM until 6:00 PM mixing, moulding, laughing and eating sugar! I sourced 2 recipes from Martha Stewart: Sour Cream Pecan-Pralines & Lemon-Oatmeal Lacies. Sarah was on a mission with 2 shortbread recipes: one traditional and a coconut shortbread. And, my mom contributed with a ginger cookie recipe. We sourced our boxes from the Retail Bag Company and red ribbon is from Masterstroke. It was fun to experiment with new recipes and most enjoyable was spending the time with my mom and girlfriends. This is great event to organize with your girlfriends or your family around the holidays or to bake favours for a birthday, wedding or social gathering. Happy eating! 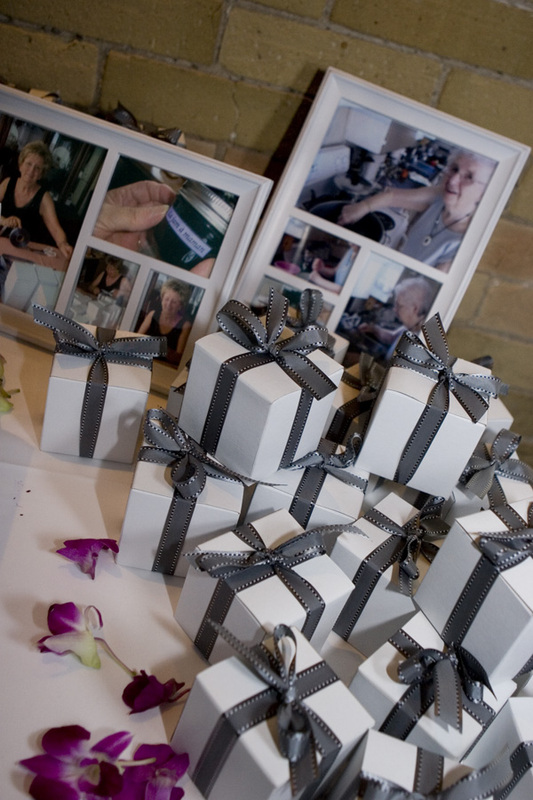 I had the opportunity to share with The Wedding Co. a great story about how to incorporate your family, friends and favourite fruits into your wedding with DIY jam favours. For the full story and DIY instructions, visit The Wedding Co.